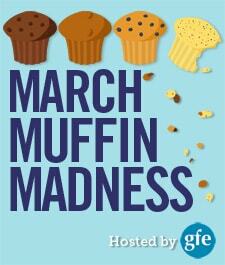 Today for our March Muffin Madness event, I have the pleasure of introducing Lisa Wells of Cook Eat Paleo. Lisa is sharing her Paleo Orange Blueberry Muffins, which is appropriate since Lisa and I met by way of her delicious gluten-free desserts. Not every muffin qualifies as dessert. Some are less sweet and some are definitely savory—and you’ll see recipes that fit both of those categories in MMM—but most of the muffins in this event, including Lisa’s recipe, will work just fine for dessert! UPDATE: This giveaway is now closed. Enjoy Lisa’s recipe (see the whole line-up of bloggers, blogs, and muffin recipes on gfe here). 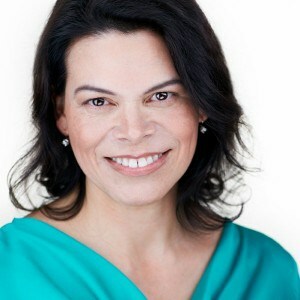 Lisa’s blog’s tagline is “Simple Recipes for Gluten-Free, Grain-Free Living.” She said that she started Cook Eat Paleo to share all the tips and tricks she’s learned on her paleo journey. After going gluten, grain, and dairy-free—and “more free” for the paleo diet—for health reasons, she had to re-learn how to cook and bake without all the ingredients she had always used. Even if you’re “just gluten free,” I’m sure that re-education process sounds familiar. After that, she had to figure out how to make it all easier. “Because really,” Lisa asks, “who has time to cook complicated meals every day?” Indeed. And even those of us who have abundant time prefer to keep things simple. Lisa also shares her method for measuring almond flour, which is clever and helpful! Combine dry ingredients and orange zest in large bowl. Combine wet ingredients in medium bowl. Stir wet ingredients into dry ingredients, then fold in blueberries. Yield: 8-9 muffins It’s important to use fresh blueberries. Frozen berries tend to be too wet, and add too much moisture to the batter.If you don't have or use ghee, butter would be the closest substitute. Coconut oil will also work, but it will change the flavor slightly adding a hint of coconut. Originally published March 7, 2014; updated July 11, 2018. Oh goodness, I would love to win. Thank you for the chance. Yum! I’m definitely checking out some of her other muffins too! I love the smell of blueberry muffins in the oven. I have never liked blueberries, though. Still, I like them mixed with other berries and the love of the smell has me hopeful that they will grow on me. The addition of orange sounds divine. I’m also heading over to check out the apple, peach, lemon, chocolate chip and strawberry muffins. Oh my! I don’t even like blueberries and I still want to try those! What a gorgeous pic. I just bought almond flour. and blueberries. so this was meant to be. and thanks to all for such an awesome give away! Keep the Paleo Muffins coming!!! I love anything with blueberries! And the goodness keeps coming & coming….. I would love to win a new blender! I recently had gastric bypass surgery and eat a lot of smoothies, so that would be awesome! Thanks for sharing. I am going to try as soon as I have some fresh blueberries! 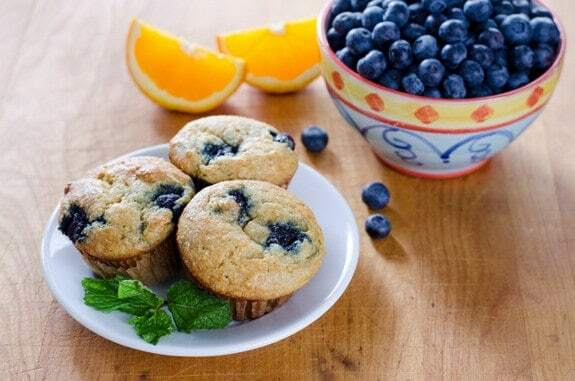 I have always loved blueberry muffins…and I like the addition of orange! I’d love to try these muffins, but I don’t have ghee. Is there a recommendation for an alternative to ghee? I’ve never done blueberry and orange but blueberry and lemon is a delight. Something new to try and, I’m sure, love! Yum!!!!! This looks like a super combination 🙂 Recipe is pretty simple too. Will surely try this! Butter would be the closest substitute. Coconut oil will also work, but it will change the flavor slightly adding a hint of coconut. Am trying Blueberry Muffins today! Oh this recipe sounds so yummy!! Made these this afternoon, using silicone cups and was able to get 11 delicious muffins from the batch. Used Tropical Traditions coconut flour and had no runny issues. They are very yummy! I love that the weight is given for the almond flour. I’m always worried I’m not measuring it correctly. Yummy those really look good! These look wonderful. I never thought of using ghee in muffins. It’s been a long time since I’ve had a blueberry muffin! These muffins sound delicious. I can’t wait to try them. She sounds like the muffin queen to me! Blueberry & orange is such a good flavour combination, too. Yum! Love the combination of blueberries and orange! Making these this morning! Thanks for the chance for a prize!!! I love the idea of blueberry and orange together. Can’t wait to make these. Sounds like a tasty twist on just plain blueberry muffins! Can you do these egg free? I love blueberry muffins, what a great idea to mix orange in. I made these yesterday and they are fabulous!!! Thank you!! I did use frozen blueberries, just defrost and made sure they are as dry as possible before putting them in. No problem at all! Delish! Great sounding flavor combination! Wondering if dried blueberries might work. I have everything else on hand but not fresh blueberries. Thanks for another great recipe. I love blueberries and haven’t made any muffins recently. I have almond flour and fresh blueberries! Ready to go! Love that this recipe uses simple ingredients. Some get too complicated for me. Blueberry muffins how do I love thee? The addition of orange rind and juice sounds pretty good. I need to make some more ghee. Oh I think my son would love these. My girls have been begging me to make blueberry muffins! I can’t stand oranges! I would have to replace the orange juice with lemon juice. Wow! Orange and blueberry together – I’m down for that recipe! love using almond flour, especially for a diabetic. Muffins look so good. Oooohhhh! Saw these on Pinterest! They look yummy. I love blueberry muffins. Blueberries are my favourite! These look like a great spring treat! These look incredible. I love blueberries and oranges, so this is right up my alley. I’ve never tried ghee, but I think I will try to make these using butter. I love that the ingredients are natural and there aren’t too many of them lol. And they seem fairly simple to make. I think I will actually make the effort to make these in the spring. Thanks so much for the delicious recipe. Oh, these look so yummy! Thank you!! I love how these are grain free. Blueberry muffins are a must. These look great! Will definitely check out the website. These sound delish. Thanks! Can’t wait to make these. Glad to read how to use frozen berries. Looking forward to trying these! My mouth is watering just looking at the picture. Love blueberry muffins and can’t wait to see how it tastes with orange. Love blueberry muffins! These sound tasty! Yummy! Can’t wait for blueberries to be in season and try these! This recipe is very similar to my Sunshine Muffins recipe – I love the zing of the zest in them! Never thought to add blueberries but that just sounds awesome – thanks for the recipe! These look great! The blueberry & orange combo sounds yummy! I just made these and all the blueberries went to the bottom. The bottoms are all moist and not even coming out of the silicone cups. Do you know why this would have happened? Hi Megan – this batter is pretty thick, so this definitely should not be happening. How did you measure the almond flour? Hmm… I’m guessing you had less than 200 grams of almond flour measuring it with a glass measuring cup, especially since the blueberries went to the bottom. Weighing the almond flour is always going to be more accurate, but if you don’t have a scale, just try adding more almond flour so the batter is thick enough to keep the blueberries from sinking. Bummer!! my son did really like them, so that is always a plus!!!!! Will these muffins freeze well? I would like to make them for a friend of mine who is expecting a baby any day now.